Android's ads for the past several months have highlighted the diversity within the ecosystem as a whole, extending into the diversity between users as well. 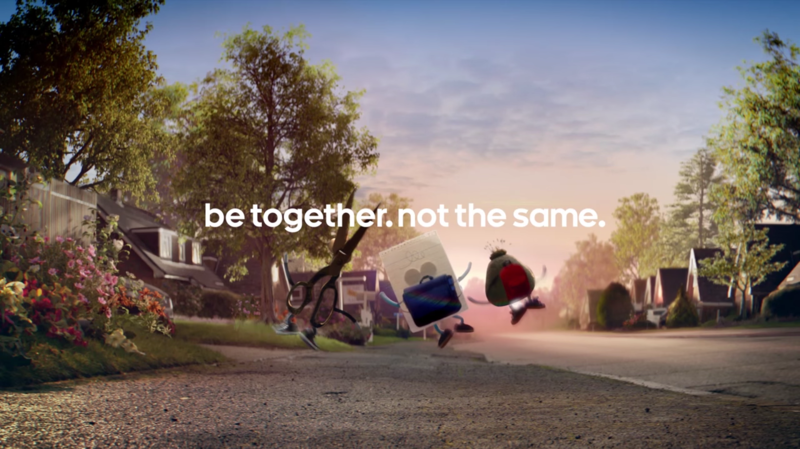 In fact, Android's de facto slogan is now "Be together. Not the same," implying that the platform benefits more from the collective differences between its users, devices, and manufacturers than the plain, boring homogeneity of other mobile operating systems. Android's latest ad highlights how different people can have complementing strengths by telling the story of White Sheet of Paper, the new kid at school that's having a hard time fitting in. Yellow Sheet of Paper, the local school bully, takes a disliking to our protagonist and decides to beat him up with the help of his two goons, Pink Sheet and Failed Exam with Coffee Stains. Yes, Yellow Sheet of Paper is a real scumbag. Fortunately, a kind Scissor shows up and proceeds to chase away the bullies, befriending our hero in the process. Later on, as the two are heading back from school, they come across a defenceless rock that's getting picked on by the two neighborhood bullies, Striped Rock with Bird Poo and Ugly Rocklett with Snail. Here, Scissors is understandably terrified of both minerals, and that allows Sheet of Paper to show his true colors and send the two meanies cowering in fear. The ad ends as Small Stone with Moss Head joins Scissors and White Sheet of Paper as the trio holds hands and walks off into the sunset. It's a touching ad that emphasizes how sometimes Android's biggest weaknesses can also be its greatest strengths, and it's probably worth the 70 seconds of your time to watch.